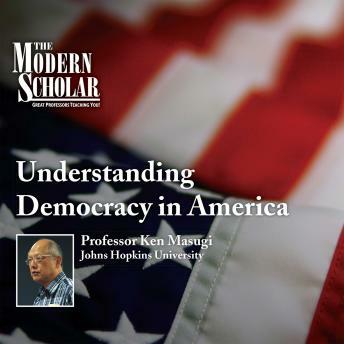 The co-author, editor, or coeditor of seven books on American politics, Ken Masugi of Johns Hopkins University has been a speechwriter for two cabinet members. Examining the founding of the American political system through the classic works of Democracy in America author Alexis de Tocqueville, this course explores the big ideas of the American experiment. Taking into account matters from liberty and independence to self-government and civil associations, these lectures highlight issues of states’ rights, church and state, race, and public versus private charity.